But here we are – 20 chickens later and I’m officially chicken obsessed. I’ve been thinking about some chicken coop Christmas decorating ideas for the past few weeks, but Chicago weather hasn’t exactly cooperated. The farm has literally been covered in mud. Now that the mud finally dried out, we added some Christmas decor to the coop over the weekend! There are so many beautiful ideas for chicken coop decor on Instagram lately, so I couldn’t wait to deck out our coop for the holidays. We decided to keep the decor pretty simple this year. A simple wreath, planters, and a few pine branches from the farm were all we needed. In reality, the chickens will probably fly into the planters and poop, so no need to get too fancy. 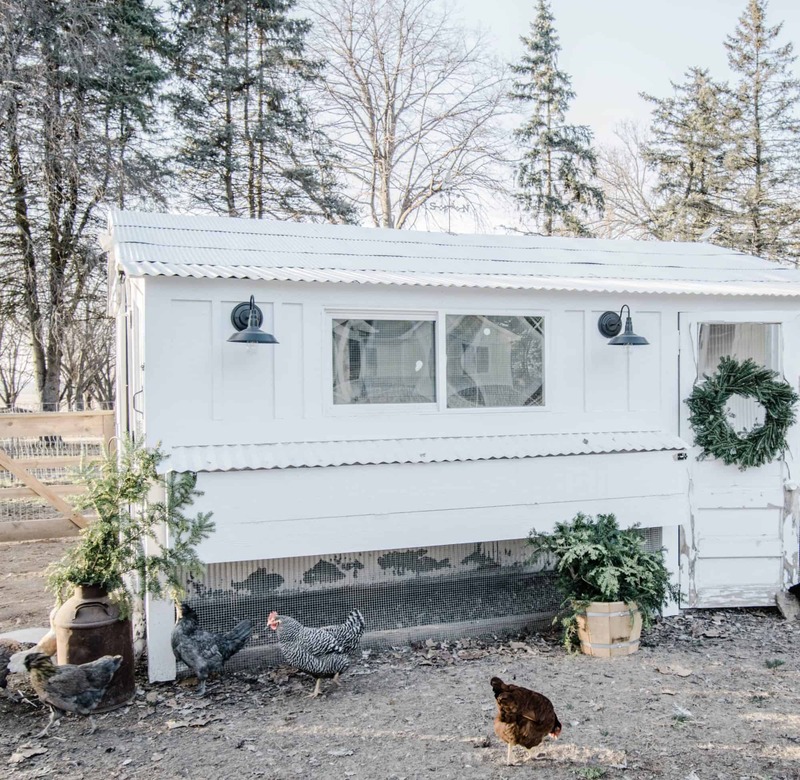 When Ben converted the old shed into the chicken coop, he added board and batten siding and painted everything white. Over the past few months, the paint on the chicken coop door chipped in the most perfect way. 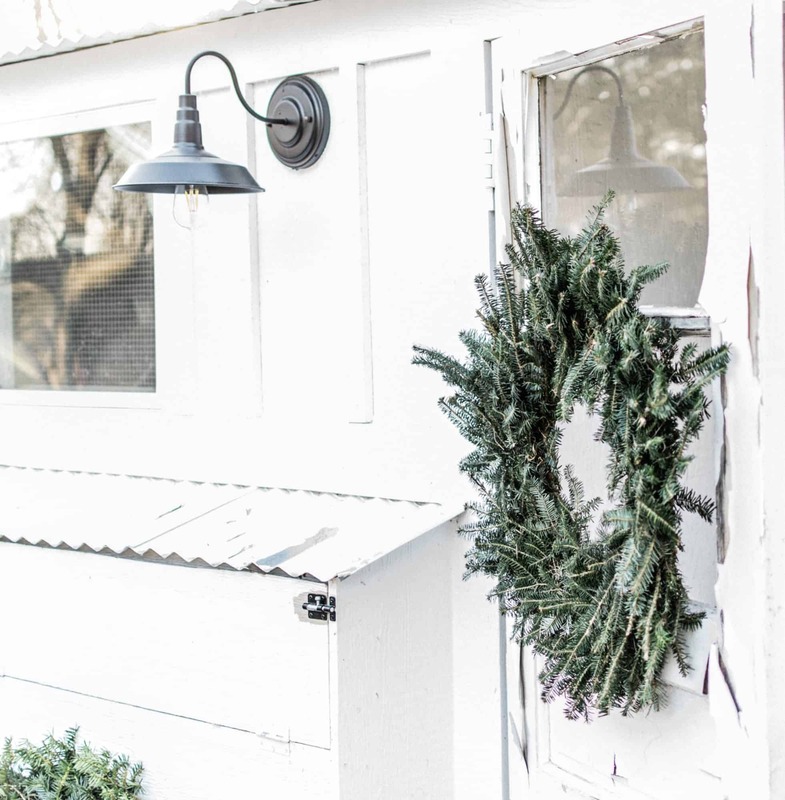 I love how adding a simple wreath to the chippy coop door made it look so fun and festive! And those black light fixtures? They light up the coop perfectly in the evening. After a recent storm, we had a few huge pine branches break off a tree on the farm. We decided to utilize these branches for the planters, and it turned out perfectly. Plus, saving a few bucks is always a win, especially when you have a minor obsession with buying more farm animals. Would you believe me if I said that Ben chose these planters? YUP, he did. He might have sent me a picture before actually purchasing them, but that just makes it even better in my opinion. 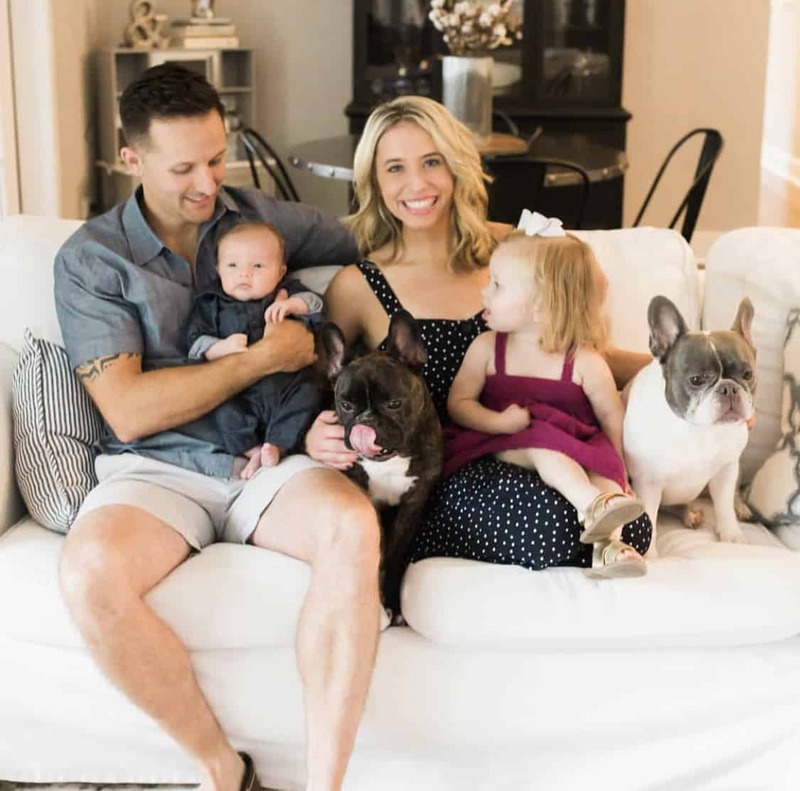 Moral of the story – find a husband that has good enough taste to purchase coop decor for you when you’re at home with the kids. 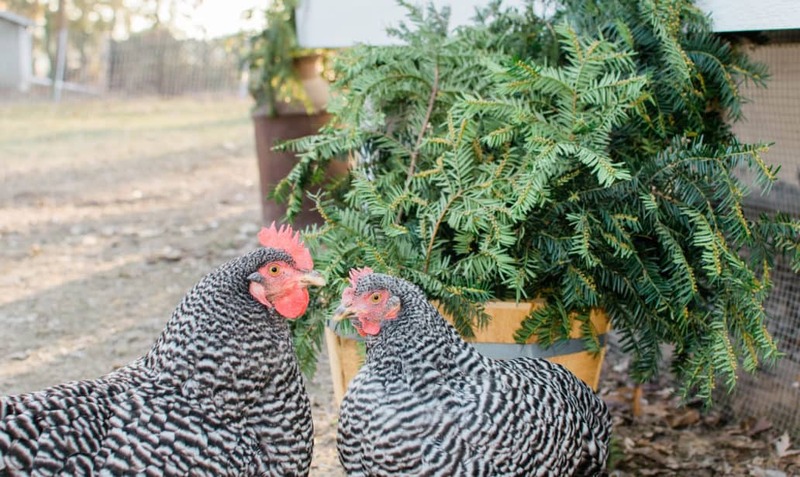 I’m so glad that our Chicken coop Christmas decorating ideas turned out well, because our girls love the finished product! Maybe our Easter Eggers will start laying their pastel colored eggs before Christmas. Wouldn’t that be the best Christmas gift ever?! 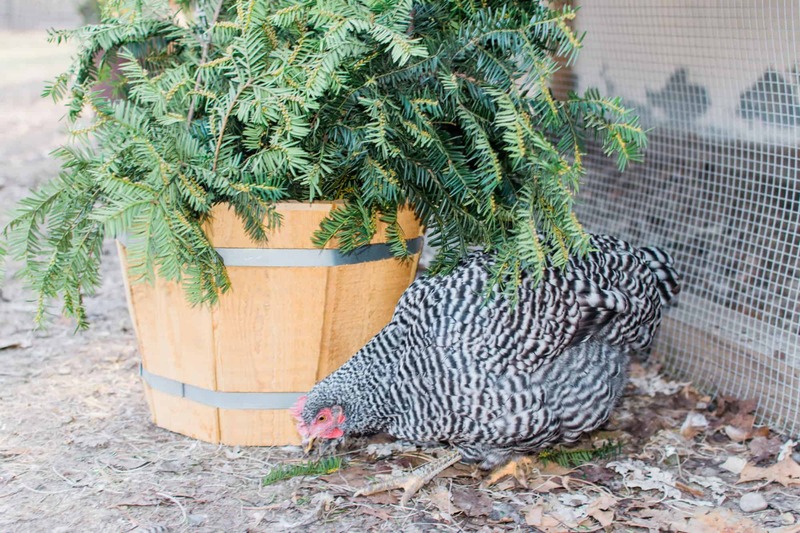 I would love to hear about your Chicken coop Christmas decorating ideas in the comments below!